During the Great Depression, households didn’t have air conditioning yet and movie theaters were one of the first types of businesses to use it. Because of this, people flocked to see movies in the summertime, so theaters started releasing their biggest movies during the summer. This is where the term “summer blockbuster” comes from. The very first air conditioner was designed by an engineer at a New York publishing company. In 1902, Willis Carrier wanted a way to control the humidity in the building so that the ink would dry faster, so he invented the “Apparatus for Treating Air” and received a patent for it in 1906. Air conditioners used to use chlorofluorocarbons (commonly known as Freon) to cool the air that passes through them. Scientists discovered, however, that when these chemicals escape, they float up to the ozone layer and release chlorine, which attacks and depletes it, so they banned them in 1987. Air conditioners now use hydrofluorocarbons. Before air conditioning and refrigeration were invented, people used ice to cool things. When cooling machines were introduced, they were rated by the heat power it took to melt a short ton of ice in a day. This is where the term “ton of refrigeration” came from. Today, one ton is equal to 12,000 BTU/h. The idea of producing cool air goes as far back as the early 1800s, when Floridian physician John Gorrie invented a machine that produced ice. He was looking for a way to cool the rooms of his patients, who were suffering from yellow fever. The idea for “summer break” came from a lack of air conditioning. Before air conditioning was popular, schools closed down for the summer because of the heat. Governments also closed down, but eventually resumed operation – schools, however, still enjoy summer breaks. Closing vent registers in your home won’t re-direct the air conditioning to other vents. 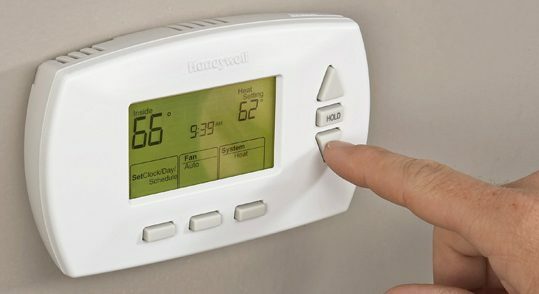 Instead, it will actually cause stress to your HVAC system, which could lead to maintenance problems and a need for air conditioning service. This entry was posted in How Stuff Works and tagged air conditioner, cooling, facts, maintenance.